Navaratri is a special celebration that takes place in India when the goddess Durga is venerated and is accompanied by a special diet for 9 days. During this period a series of rituals are performed that include from fasting to special meals and those that should be avoided. For example during the Navratri people avoid meals with garlic, onion, rice, wheat flour, semolina, chickpea flour, corn starch, flax seeds, oats, legumes. The truth is that there is a lot of food not allowed during the navratri. In addition to the meat and eggs there are many vegetables, and even then there are hundreds of recipes for dishes for those festivities. Well that's what catches my attention, that no matter how much you restrict there are always many more alternatives. In this fast-paced world where we look for everything to be done quick and easy, there is one thing that we are compromising on is our food habits. In this busy schedule, we look for fast foods that are junk and unhealthy, and can lead to a lot of health problems in the future. So why not change into a healthy alternative that is not only tasty, but also quick and easy to cook as well. From day 1 to 3: You can go for a fruit diet and eat any sweet fruit, such as apple, watermelon, papaya, banana, grapes and drink coconut water. From day 4 to 6: You can eat a specific day meal from Navratri, the rest of the day fruits, buttermilk (you can find the recipe on how to do it) and milk. From day 7 to 9: You can follow the traditional meals of Navratri. A traditional meal from Navratri may contain rice, tapioca, sweet potatoes, ghee, milk and buttermilk. These last three have a refreshing effect on the body. To fulfil the liquid intake you can go for pumpkin, coconut water, fruit juices (better not combine sweet and acid fruits), and vegetable soups. These liquids apart from giving you energy helps in the detoxification process of the body. You can also have fruit salad of papaya, pear and apple. Instead of rice or oats you can use barley, rye or millet. With millet, you can prepare sama chawal or samvat rice khichdi, a kind of millet porridge and spicy potato. Very similar but looser, like a pilaf, is the sama ki khichdi or moraiyo or mordhan khichdi, similar to bariis iyo bataato. With the tapioca pearls women also make sabudana khichdi, a pilaf of tapioca pearls, sabudana thalipeeth, which are like potato rotis and tapioca pearls, sabudana pakora, a variant of the pakoras but without the dough that covers them. Very similar to the recipe of sabudana vada, sabudana tikki is also very similar but flatter and with different spices. Well, there are many more if we also add the sweets and the rest of the ingredients. Embrace the joy of the Navratri festival with the best of our fasting recipes. From old favorites to newer ones, indulge in a lot more than the usual stuff. Sabudana is full of starch or carbohydrates which gives you the energy boost needed during the fast. Sabudana khichdi is made with sabudana, peanuts and sweet spices. Sometimes the peanut is added to add beauty to its taste. Rich in its nutritious content, Sabudana Khichdi serves as a sumptuous meal during fasting. This Navratri moves beyond the usual Puris Kuttu and raises something different. A crunchy dosa recipe made of kuttu ka atta (buckwheat flour) with potato filling. Feast while you fast! Your favorite tea snack with fasting ingredients like water chestnut flour, Sendha Namak and a Chironji spice filling. Jeera aloo is a fasting dish that is easy and quick to prepare. It does not take much of your time and works brilliantly during fasting. When you're hungry and want something really fast, boil a few potatoes and then sauté. It is really very abundant. Jeera (cumin) is one of those spices that is an integral part of various Indian dishes. Taste the relaxing flavors of this light and delicious curry made with potatoes. Kadi may be the favorite dish of all time. Kadhi can be a substitute for the simple and can be added with the pakoda to add it to the taste. Rajgira kadhi is good for fasting because it is easy to digest. Dahi (curd) is incredible to eat and lends itself to being a great appetizer and helps in digestion thanks to the good bacteria of Dahi. Desserts inspire applause, here is a low-fat kheer recipe made with Makhana and walnuts. Indulge without worrying about the scale! Charge with this nutritious drink. Lassi made with the goodness of yogurt, bananas, honey and nuts. Tired of eating potatoes for breakfast, lunch and dinner when you fast? Try the delicious Arbi Kofta which is a perfect snack for you. Fried Arbi is made with fried taro roots, very famous during the Navratri festival. Minimum in spices and rich in nutrients, Arbi serves as good food to rejuvenate your body with energy. The taro root contains a very significant amount of dietary fiber and carbohydrates, as well as high levels of vitamin. A fresh recipe that gives you a break from the usual fried pakoras and puris . Steamed dhoklas made with samwat ke chawal . A healthy way to fast. Fasting should not be more boring! Spicy banana skewers that melt perfectly in your mouth and satisfy your soul. A perfect accompaniment to your regular pakodas or bhajis and also with your vrat-friendly snacks. Pumpkin is a widely used vegetable during the Navratri fasting season. While people fast, light food becomes easy to digest and therefore, pumpkin is preferred among other vegetables. Pumpkin, which is a rich source of vitamin A, is a very nutritious, extremely nutritious food, full of vitamins and minerals but low in calories. For an ideal food for the cold climate and rich in nutritional value, sweet potato tikki serves the purpose. Sweet potatoes give you a powerful nutritional punch. The vada are traditional fried snacks in several regions of India. The sabudana vada made with potato and tapioca pearls, are usually prepared during the navratri period. Women prepare alternative meals with the rest of foods that are allowed, such as sabudana vada. For this recipe we must first make them soft, but if we cook them they will be too soft and then too hard. So we leave them to soak in cold water, avoiding the heat (if it is very hot leave it in the fridge). Mix them with the rest of the ingredients. Proceed to their cooking by adding in oil until the whole mass is golden. If we do not increase the heat it will also be when the tapioca pearls have softened enough to be able to eat the whole preparation without noticing hard balls. When the dough has little potato it melts and breaks in the oil. The tapioca pearls, which already retain water, soften. If there is too much tapioca in the dough, it all comes together and forms a salsita that does not do well oil. If you make the first sabudana vada and break it, and they remain as translucent, it is that the dough needs more potatoes. They can also be grilled, with little oil, in a non-stick pan, covered. In that case make them a little flatter and put the fire a little lower, since they will be in contact with the pan all the time. Cook both sides and leave a moment on absorbent kitchen paper. I have not tried the oven, but you can try it too. With the base of the recipe (tapioca pearls hydrated + potato + peanuts) you can invent your own similar vada. And if we start to vary it with whatever we want, we can add hard tofu (shredded with hands), cooked quinoa (and drained), carrot cooked and cut into small pieces, fresh parsley, chopped shiitake mushrooms, and roasted pumpkin. From Gulab Jamuns to Payasam, from the favorite nostalgic to modern avatars, we bring to you the most beloved Indian desserts. The good old pleasure made with khoya, fried with gold and finally dipped in the sugar syrup induced by saffron. Also a party favorite! Warm up your winter with this recipe that will delight even the most demanding of sweet eaters! Halwa made Pakistani style with grated carrot, condensed milk, walnuts and golden varq. One of the easiest ways to satisfy the sweet tooth! The gift of Bengal to all of India, Sandesh is now popular in many parts of the world. Pineapple Sandesh is a popular Bengali dessert. This is a healthy and delicious dessert and a great dessert for sophisticated and easy-to-do people. Sweet flour gnocchi stuffed with coconut, sago, nutmeg and saffron. Steamed to perfection. A famous Indian dessert prepared during the Ganesh Chaturthi festival. A favorite Gujarati made with hanging curd. Few ingredients, great flavors! In this recipe slightly sweetened yogurt is dotted with pieces of mango and served with a spicy mango salad. The south Indian version of kheer is known as payasam. Deliciously creamy pudding, rice and milk with cashews and raisins. This is a childhood favorite with many! Barfi made with cashews and milk, garnished with silver varq. Usually exchanged as a sweet gift on special occasions. 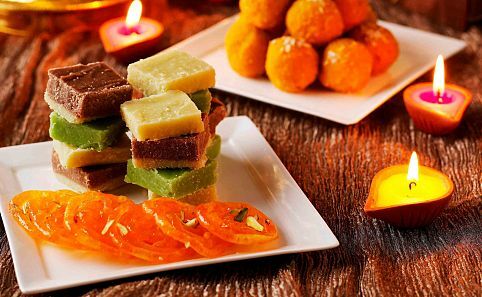 The dessert of every occasion and the king of sweets, Kaju Barfi is undoubtedly loved everywhere. The first visitors to India called it the land of milk and honey. Marut Sikka lashes a rich shahi tudka of Awadh rich in saffron. It is believed that Shahi Tukda recipe was invented by a way of using unused bread in nineteenth-century mogul kitchens. The delicious combination of milk and honey, infused with saffron, makes this cake extraordinary. Another variety of milk pudding prepared during the holidays, especially Eid and Ramzan. The best is served in mitti ke kasore or in mud pots. A delicious dessert, traditionally made on occasions like Eid, Diwali, etc. A famous sweet ice cream that is sinfully rich, thick and creamy. A touch to the traditional recipe, this is flavored with mango. Sooji Halwa or Rava Sheera is a traditional but popular dessert. Sooji Halwa is delicious and a welcome gift for guests. Besan Ka Halwa is a traditional Indian dessert made with different flours, lentils, walnuts and vegetables. Besan Ka Halwa is one of my favorite Halwa. This is a delicious even quick and easy to make. When you roast the besan, the house is full of sweet aroma. Besan Ka Halwa is also gluten-free. Moong Dal Ladoos are traditional Indian festive desserts. The Ladoos are made with different flours or roasted lentils, clarified butter and sugar. You will find ladoos for every celebration. Mango Shrikhand is a sweet refreshing dish made with yogurt. Shrikhand with mango makes it a very delicious dessert. This exotic dessert is easy to prepare and the Shrikhand is often served with poems. Falooda is best described as a sweet drink that is really corn vermicelli. This is a delicious combination of layered Falooda with milk, sweet basil and vanilla ice cream. I like serving this with mango. This can be a snack anytime! Falooda is popular among Mumbai street vendors. This chilled beverage-dessert is the perfect way to cool off in the summer heat. Nariyal Ka Ladoo or Coconut Ladoo, a delicious homemade dessert can also serve as candy. This is easy to prepare. One of the simplest recipes to make with just a few ingredients. The Narkel Naru in bengal is popular during Kojagari Lakshmi Puja. Shahi Kheer, also called Makhana Pudding is a very traditional dessert similar to pudding. Makhana is blown lotus flower seeds and resembles popcorn. Shahi means rich and real. The texture of the nuts and the creaminess of the milk make this super dessert. By adding caramelized sugar with saffron and cardamom, a very subtle and unique kheer taste is added. Rava Kesari is a popular sweet dish of southern India which is a different version of Sooji ka Halwa. Rava Kesari is delicious and easy to prepare, usually done on festive occasions. This is a quick solution, especially if you have unexpected guests. Jowar can definitely be called as the apt alternative. It has high-quality fiber that will help in easy digestion and other health benefits like weight loss, control sugar levels in the blood. It can also reduce high blood pressure and prevent heart strokes. Jowar is rich in proteins, vitamins and minerals and other nutrients. With so many beneficial factors, it is important to add this in our daily diet. How to add Jowar in daily diet? Paratha is one of the favorite dishes of the majority of Indian families, especially in Northern parts of India. This recipe, which is easy to cook and a staple food in many households is generally made from Wheat flour. Jowar flour can replace wheat flour to make it more healthy and taste different. Jowar can give a twist to your taste buds with the most familiar Parathas. You can also add different vegetables or paneer to spice up the plain paratha. A special Chutney made from Groundnut, onion and garlic, is preferred by many as a side dish with Jowar Paratha. Any side dish that is usually cooked with parathas will taste great along with your jowar parathas. They also make chapathi which is dry and crisp from Jowar flour which has a shelf life of 5-6 months! Khadak Roti is the local term for this and this Roti is good for consumption during travels, for supplying to places which are affected by floor, earthquake etc. One of the simplest and easiest recipes are dosas or pancakes. Make a batter out of the Jowar flour and cook some delicious Jowar dosas or pancakes and have it hot with a spicy chutney. You can mix chopped or grated vegetables into the batter to make uthappam or vegetable dosa or make plain dosa by mixing Jowar flour and curds. Onion and Coriander can be spread over the dosa to make a crispy onion dosa for a change. Bread lovers can bake a healthy bread by replacing maida or all purpose flour with Jowar flour. This is easy to make and healthy recipe as jowar contains a lot of fiber. You can add some dry fruits to the bread dough if you are someone who does not fancy plain bread. Roti or rotti is a popular breakfast food in South India. Generally, rice flour is used to make roti and is called Akki Rotti. This soft and crispy dish is relished with chutney. But making this using Jowar flour is a good option as it will be crispier and healthier. Vegetables like Carrot, Cabbage, Methi, cucumber etc. can be used along with onion. Just grate or cut any vegetable into small piece, cut some fresh coriander leaves and one green chili, mix it with Jowar flour and make delicious roti on tawa for a healthy and tasty breakfast. Those who do not like Khadak Roti or Rotti can try soft roti. The procedure is simple, just boil 1½ cups of water, when water starts boiling, add little oil or ghee, salt and then add Jowar flour while stirring continuously. The mixture turns into solid dough. When this dough cools, knead it with little oil, make small balls, roll it into thin layers and bake it on tawa. This can be served with dry vegetable curry or gravy one or with simple chutney. Makes a good breakfast recipe for elders also as it is soft and full of fiber. No recipe is complete without deserts. But deserts are one of the biggest reasons for weight gain and increased sugar levels. But replacing all-purpose flour to make Chocolate Cookies and Cakes with Jowar is a healthy and tasty alternative. The best part is you can relish this without guilt! Challenge your creativity and come up with more great dishes using Jowar flour. So what are you waiting for? Get into your kitchen, wear the chef's hat and apron and try one of the above dishes or invent something new to tingle your taste buds and still keep you fit and healthy. Today, rummaging through my hard drive, I found the photos of my trip to India and quickly gave in to the desire to plunge into images of the marriage of my friend. In a flash, everything explodes in my face from the dance, the perfumes, the colors, the laughter and the waves of emotions that caught us during the days of the ceremony. 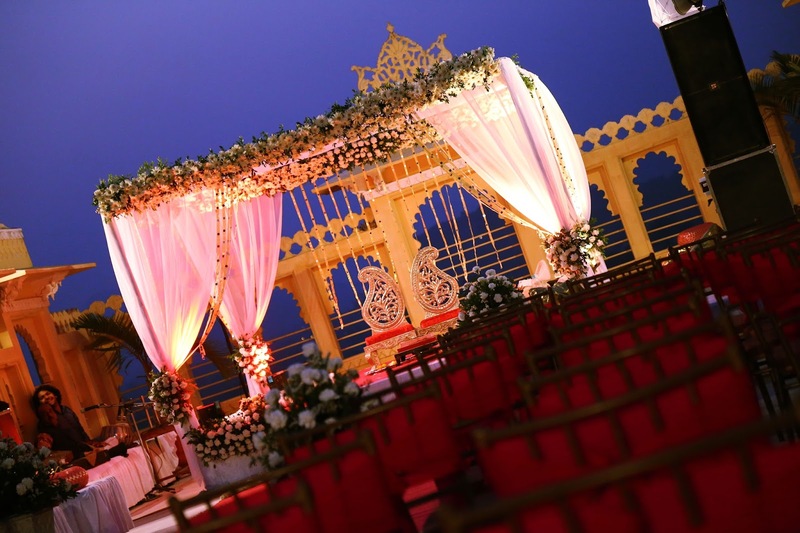 At this time of the year all of northern India is filled with colors, not only because of the large number of festivals that are celebrated, but also because of exotic wedding destinations. It is the time of the wedding and each wedding has, in most cases, a duration of three days. I say in most cases because they can also last 7 or 30 days! I believe that the 30 day events are almost not celebrated. When someone marries in India, the whole neighborhood knows it. The awnings of colors that suddenly appear in the streets say it. I remember first the joy of receiving months in advance the announcement made by my former roommate who was about to marry the one he spoke to me so much with flashes in the eyes and the excitement in the voice. The invitations are usually large, very baroque and it includes the schedule of the celebrations. If there are 100 guests, 101 cards are printed, because one is for the god of luck and happiness. I was welcomed like kings, nursed by my dear friend and family, pampered by uncles, aunts, and cousins. When I arrived in Udaipur, the adorable mother of my friend had rummaged through the closets of the house to pull out outfits that she had then spread on the bed so that I choose my finery for the first part of the wedding ceremony. Since I had not planned to bring an outfit for the wedding, I spent a few hours in the afternoon shopping in one of the malls. I had then tramped in a small shop waiting to find the happy owner. I spent hours admiring the fabrics, the fine work of goldsmith, trying the delicate fabrics to choose the one I would wear during the celebration. After a long time in the mall I almost forgot where I was. The old town of the city is around Lake Pichola. The lake has two small islands, that of Jagniwas and that of Jagmandir. 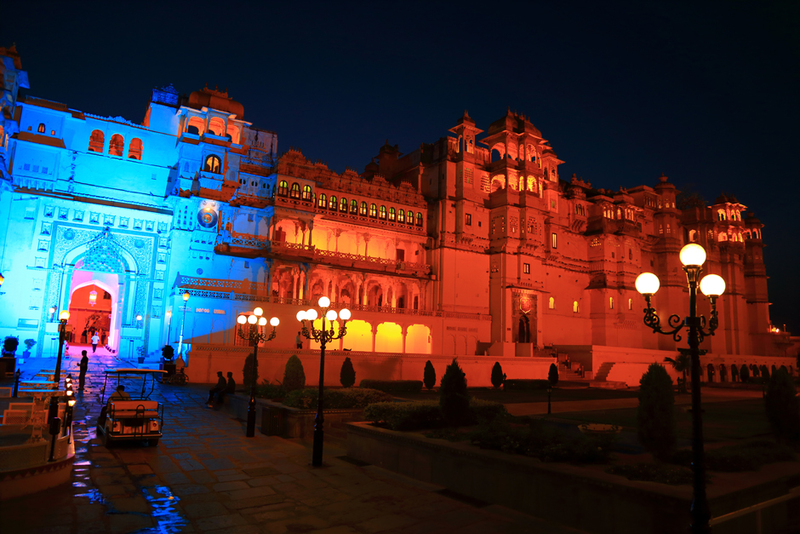 The first is completely occupied by a palace built by Maharaja Jagat Singh II in 1754. It is now a luxury hotel. The second island also has a palace, but a little older, as it was built by Maharaja Karan Singh in 1620. Near the bridge there are some Ghats where a musician try to win over travelers with some typical instrument of Rajasthan. 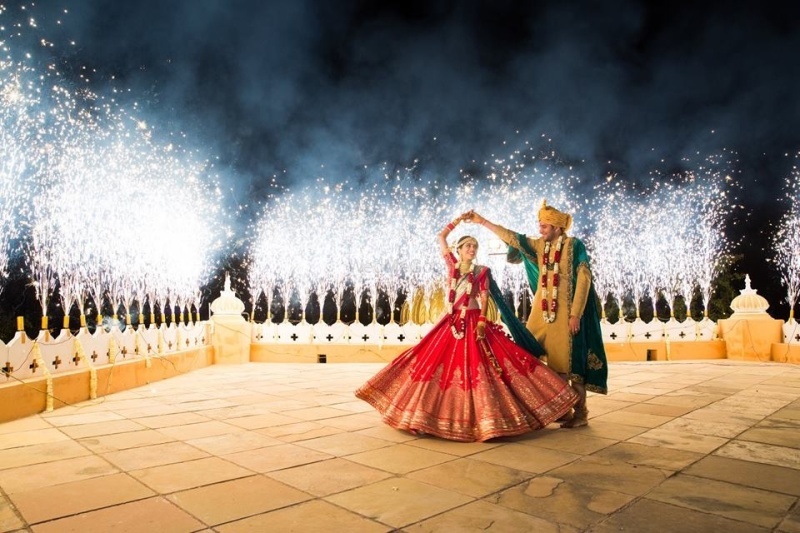 Valentine's Day is a popular day for weddings in India and in entire Udaipur I can see reception rooms decorated with flowers and colorful and glittery fabrics. A few days later, still under the enchantment of this tale from the Arabian Nights, I dressed in my first outfit and seized the essence of the feast that is already established in the minds. The cousins ​​arrived one by one and I was peacefully relaxing in the garden. The sangit is celebrated before the wedding. This celebration is typical of women, in which they sing, dance and eat. The relatives and friends of the bride's family participate in it. The dhol is traditionally played, a traditional instrument, and it is the moment of henna decoration of the hands and arms. It is assumed that the closer the bride is to the guest, the more complex the drawing is. In the street, a group of blue-clad musicians sang a new tune, while a dance in a circle was improvised. Some clapped, some hummed and some laughed, taking us all into a whirlwind where all followed the rhythm cheerfully. The men seemed busy in a corner of the garden. Some were simmering to drink a drop of whisky. Then we sat around a priest, and the first blessings began in small groups. The meal was quietly taken in a serene atmosphere, obviously waiting for the sun to set to start the festivities. A fire was then lit, and the first performances began. The aunts embarked on a touching choreography, while the younger sister showed us her talents as a dancer. The future bride marveled us by his ease, as the music was chained and here we are on stage in turn, drawing applause and cheers from the family. My friend had charged me with a mission for his big day to learn the choreography of a Bollywood movie Dabang in front of an audience supposedly restricted to the family! After a few quick rehearsals, the time was no longer moving, because I already had to wiggle in front of a delirious audience. Finally, the last salvo of dancers announced the end of the show and suddenly from the children to great grandmothers, stood up and began to let loose to the sound of Bollywood music, releasing such energy that we let ourselves go on the beats until late at night. Carried away by crazy rhythms, I return to my room. The future husband retired, and the real marriage would take place the next day. The music endure until more than midnight. The sound of drums awaken me early in the morning announcing to the whole neighborhood that the family is celebrating. We worked all morning in a cloud of perfumes, powder, and flamboyant fabrics. The excitement reigned and contaminated the whole household. I was draped in fabulous kurta pyjama and was finally ready to go in the back of a pickup that would transport me to the place of the official ceremony. Some members of the family were already present, in a sumptuous decor worthy of the garden of eden. Statues of Buddha and Shiva were erected here and there were beds of flowers. Small pools bordered the sofas. The vegetation abounded around us, conferring a feeling of being one with nature. The bride, adorned with gilding and a fiery red sari, finally arrived at the side of her mother on the huge red carpet that led to the festivities. The emotion was palpable. Suddenly, the audience stood in suspense. I heard the clamor rising from the street. In orange turbans, the men approached enveloping the magnificent groom. The ceremony could finally begin. Separated by a transparent veil, the future spouses faced each other, surrounded by their closest relatives, while most of the guests enjoyed the abundant dishes from the international buffet. Some enjoy the banquet and the music, after taking boring pictures with the family. Actually it looks more like a fair. The food stalls surround the room, beautifully decorated with colorful fabrics and luminous ornaments. In a first line snacks are served with pakoras of onion and fried vegetables, samosas, fried chickpeas with spices, and some small sweets. Later there is the serve yourself counter with big steaming casseroles opening each time a guest approaches. There are curries of vegetables, chicken and paneer, dal, dishes in sauce and a variety of rice, essential to accompany the rest of the meal. There is also naan and paratha. The tandoor ovens are on one side of the room and the unmistakable sound of the hands hitting the mass does not stop sounding throughout the evening. Fresh bread is always ready. The drinks are passed on trays served by attentive waiters who cannot let the guests' go dry. Alcohol is not served, as is often the case in most family gatherings. I try all the wonderful sweet and savory dishes of the buffet, and I wanted to taste everything! To make your mouth water I could tell you I had delicious butter naan with donuts of very spicy vegetables, and curries with peanut and lentils. To end I have goat milk ice creams with almonds and spices, fried swirls of sugar that melt in my mouth with a taste of honey. I was bewitched by the colors, the incense, the rituals that unfolded before my eyes. The priest continued his incantations for a very long time. The couple, with a complicit look, exchanged flower garlands and passed them around the neck according to the tradition. Then they go around the sacred fire seven times to celebrate the new union. In a real relief and indescribable joy, the few guests gathered around this ultimate moment and then threw flowers on the newlyweds. The photos flashed in all directions. It seems that time stops when the families of both greet each other and exchange flowers, in a gesture that shows that a marriage is not only between two people, but also between two families. But attention falls shortly after. Paradoxically, the bride and groom are not the absolute protagonists of the wedding, and while they are getting married, it is enough to look back and see how some people keep eating! A large number of the guests does not leave where the food is served. The cooks continue filling food that the waiters empty on the plates of the diners. The tandoor continues to bake naan and empty drink glasses ask to be refilled. When I arrived in the street, my car had just taken off, with another one taking on board my friend and her wife, leaving everyone around in tears. Somewhat overwhelmed, I ended the evening, realizing that my gifts will never have been opened. Tomorrow I leave for Chittorgarh to discover the story of Rani Padmavati and the jauhar customs. India is a place of unforgettable and amazing destinations. Its spellbinding natural beauty offers rich monuments of flora and fauna. All the tourist across the globe visit India for its romantic travel destinations, adventurous and thrilling destinations with luxury. If you have not visited India yet, chances are that your life is going to change for the better after the trip. You will see people with nothing with a big smile on their face, religious leaders encouraging people to improve themselves, and very well-mannered school kids with perfect English. India is full of the unexpected, but there are some places every traveler should experience. Below you will find few of them. 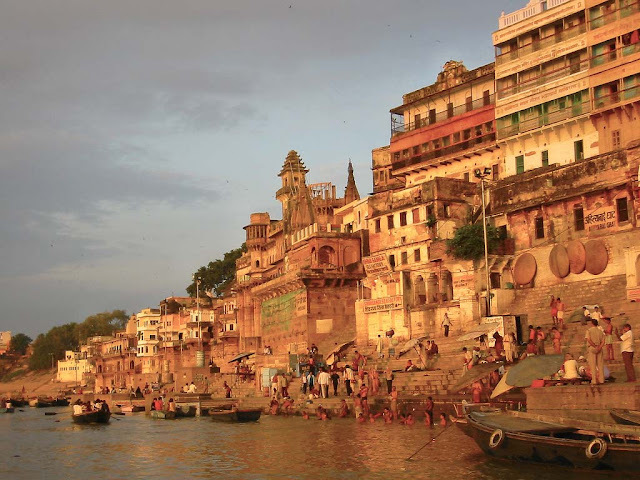 Ganges is considered a river Goddess, and people rever it. If you first visit the shores, you will need to take a boat trip and release a lotus flower making a wish. If you are lucky, the Goddess will listen and it will come true. There is nothing quite like a night boat ride on the Ganges, but you should be aware of the fact that it is one of the most polluted rivers in the world, too. Just because the yogis on the shores of Varanasi wash in it, it might not be safe for you. If you visit any of the large forts of North India, you will be offered the chance to take an elephant ride. It is not only a great photo opportunity, but you will also see more of the town below. You can travel in comfort, but be sure to arrange your tour ahead, or you might end up paying extra for a few bananas for the beautifully decorated elephants. On the Trikuta hills, about 13 kms near the Katra village which is about 50 kms from Jammu, is the famous cave temple of Mata Vaishno Devi. It is one of the oldest of all temples in India. Ayodhya, the temple city, with a sacred site around each corner is best discovered at a leisurely pace. Visit Ram Janmabhoomi, Kanak Bhavan, Nageshwarnath Temple, Treta Ke Thakur, Lakshmana Ghat, Mani Parbat, Hanumangarh. In Delhi, you will find a special temple. 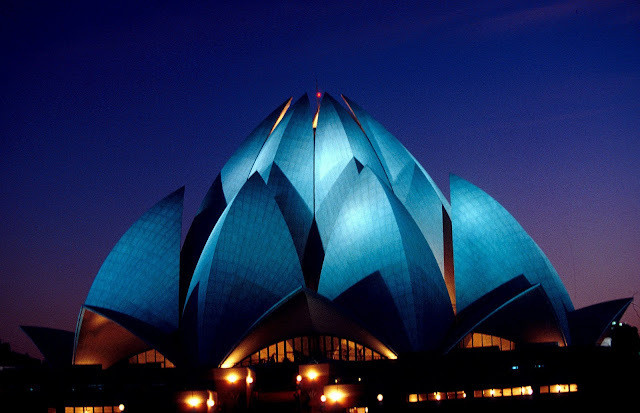 The Lotus Temple is not dedicated to one god or religion, but all of them. You will see respect and positive vibes in the interior, and it is a great place to try to meditate and see clearer about your life. In Chhattisgarh you will find the Teevardev Mahavihara. Visiting the temple is a once-in-a-lifetime experience, and you should not miss it. Jogimara cave is next to Sita Bengra in Ambikapur. The ceiling and walls of this cave is filled with drawings of birds, flowers and human figures executed to perfection in red, yellow and black, dating from the 3rd century. Madhya Pradesh has a number of important pilgrimage centers. Indore is the most important city in the region, where you can visit visit Lal Bagh Palace, Rajwada and Kanch mandir or crystal temple. Padavali and Bateshwar Padavali is famous for the magnificent temple built in the Padavali fortress. The temple shows classical architecture, which can be equated to any of the famous temples. This wonderful temple represents the ten incarnations of Vishnu, Mahabharata, the marriage of Ganesha, and Samudra Manthan. Saas Bahu Temple, located in the east of the Gwalior Fort, attracts not only the devotees, but also the tourists for their artistic value. A temple recently built and dedicated to the Sun God, the Sun Temple is located in Morar. It is a facsimile of the famous Konark sun temple, Orissa. Teli Ka Mandir at the Gwalior Fort is distinguished from the other compositions of its time, due to its unique architecture. Although the roof of the temple has a Dravidian look, the sculptures are typical of northern India. While Ujjain and Omkareshwar have a special meaning because of the sanctuaries that two of the twelve jyotirlingas, Maheshwar, Mandleshwar, Amarkantak, Hoshangabad are also important in their own right. Omkareshwar is an OM shaped island at the confluence of Narmada and Kaveri. In Ujjain, one of the sacred cities of India visit some of the oldest temples, Bhartruhari Caves, Khamba Chaubis Temple and Gopal Mandir, before proceeding to Bhopal. One of the main tourist destinations related to archeology and a bit of history, are the famous ones Bhimbetka cave paintings. The Bhimbetka Rock Shelters are located in the hills of Vindhyan, on the southern edge of the central plateau of India. Within the outcroppings of massive sandstone, above the relatively dense forests, there are five groups of natural rock shelters, showing paintings that seem to date from the Stone Age cultures from the end of the Acheulian at the end of the Mesolithic period. Considered as one of the sacred cities of India, Dwarka is one of the four char dham in India, being a pilgrimage destination for devotees and home to the colorful Krishna Janmashtami festival, as it is believed that here was located the first kingdom of Krishna. A monumental complex in the epic mouth of the Gomti River is famous for the presence of temples such as the Dwarkadhish, built 2200 years ago. Around it white houses hugged by the mysticism of gods still seem to whistle among its streets. If you believe in Vedic astrology, you might want to find out what traditional palmists have to say about your future. Palmists do not charge an arm and a leg in India, and you will be surprised how much they will know about you in just a few minutes. You can ask them any questions and their predictions are said to be pretty accurate. If you would like to try the local Indian cuisine, you might want to avoid the tourist areas and go to any of the local markets to taste the real street dishes offered for Indians like chhena poda. You can also shop for fabric, get a kilt or a local garment made in just a few hours to measure for much less than it would cost you to visit any tailor shop at home. Be sure to make the most out of your money, though, and always use the local currency. Check out the Currency exchange prices and compare them as the rates vary at different locations. If you are visiting India, you need to engage with the locals and experience life through their eyes. 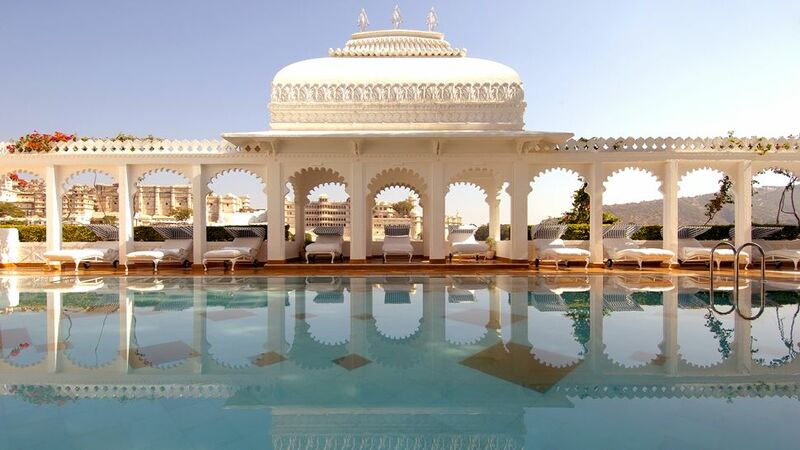 Gift yourself a royal experience in the land of royals. A little expensive but luxury train travel is definitely a great way to explore India. Though there are options on the luxury train travel, Maharajas Express offers you a cherishable eight-day heritage tour of India. Traverse your way through North India in this train and get to visit the Taj Mahal and grand palaces in Rajasthan. Riding on Maharajas Express train is the most exotic joyride you can experience in India. Maharaja Express is the most prominent luxury trains in the world. It had won the World Travel Award in 2012, 2013 and 2014. It travels across Northern and Northwestern India and travellers can enjoy the journey with personal cabins and with a state of art amenities. With a total capacity of 88 seats, there are several beautifully decorated dining cars and two cars that contain complete bars. If you like it simple and want to get back to the roots, organic farm stays are your best option. Listen to the sound of birds chirping, know how your food grows and eat it fresh, smell the fragrance of the rich soils and view India in its most rustic form. Break away from the shackles of the urban life for a while and keep yourself grounded in the simplicity of life on a farm. Coorg is also known as Kodagu. It is said that this place haunts you forever by its timeless beauty. This city offers a fascinating past, captivating beauty, great food and subtle aromas of coffee plantations, oranges and honey. Described as the Scotland of India, it is located at 1,525m above sea level in the Western Ghats region. Visit Bylakuppe a community of 1500 Tibetans. Visit the Dubare Elephant Breeding Center to attend and participate in various activities like elephant grooming, meal distribution and demonstration of dressage orders. Walk in the coffee and spice plantations. This is the opportunity to learn the difference between an Arabica and a Robusta, and explore the paths scented by the spices of Orange County to immerse yourself in the spirit of the place. In India each year, spring is welcomed in a very special way. Holi, is the festival of colors and one of the most important festivities in the country. During this celebration, people paint and throw colored powders called Gulal. The party begins on the first full moon night usually at the beginning of March, with the one known as Holika Dahan, which revolves around the bonfire. During this evening, people take the opportunity to prepare sweets such as a pie filled with dried fruit, or succumb to the romance between fire shavings and sandalwood aroma. One of the most famous versions is Lathmar Holi in the state of Uttar Pradesh, more specifically in the villages of Vrindavan and Barsana not far from Mathura, during which the women of the village go to the square where they beat the men with a stick. In Delhi, different parties vibrate around the city between DJ's, colors and laughs in a much more cosmopolitan atmosphere. Jaipur welcomes even more colors and even a festive Elephant that is celebrated on the same day as Holi. The powerful intoxicating effect of the bhang is an important part of the celebration of Holi, a festival that knows no restrictions. Its consumption is especially rampant in the north of the country, where it is celebrated with a special enthusiasm. The drinks and food is impregnated with bhang. The bhang ki thandai, a cold drink made with almonds, rose petals, ginger and spices such as garam masala, the pakoras and the vadas, all hide that secret and sacred ingredient that helps to intensify the festive spirit of Holi. One of the most popular variants is bhang lassi, a drink made from fresh leaves and cannabis seeds and a yogurt milkshake with spices. Shantiniketan, in the state of Bengal, gathers Tagore recitals among colored powders, games and women dressed in yellow representing abundance. A version called Basant Utsav that links with the turmeric color that invades Manjal Kuli, the discrete Holi of Kerala. In Punjab, Holi is celebrated as Hola Mohalla, a day reserved in honor of the Sikh warriors through more solemn but equally enjoyable rituals. If you do not like the idea of ​​lazy winters, Palampur is worth a visit. Right next door is the best place for paragliding in Asia. Located in the midst of the Dhauladhar ranges in Himachal Pradesh, Bir is world famous for its paragliding experience and its amazing vegetation. Once you have tried a flight, you will always walk the earth with your eyes turned towards the sky, because there you have been, and there you will always long to return. A world paragliding world cup is organized every year in Bir. Register at any of the paragliding adventure clubs in Bir, who will assume full responsibility, from taking you to Billing, where the flight begins to the landing site. Continue as your teacher instructs you. In addition, it will be recorded in GoPro, so act happy and excited to make your video memorable. Located in the upper part of the Bir region, there are many cafes serving local Tibetan food. Thukpa, Momos, Thenthuk are what you should have in local Tibetan shops. They also have Laping , a local dish that you can find on the streets of Tibetan Colony. This local delicacy is worth trying if trying a new kitchen interests you. You can take a direct bus from Delhi to Baijnath that runs during the night. Bir is half an hour from Baijnath. You can also take the route from Delhi to Mandi. There are buses that go from Mandi to Bir with good frequency. You can register in backpacker hostels in Chaugan (lower Bir). The experience in a hostel with a backpack is one of the types in which you can connect with other backpackers. Also, if you plan to extend the trip, you can visit Dharamshala and Mcleodganj for a hippy holiday. Located in the Kangra Valley, its fresh and clean air, and its quiet environment, provide a respite from the busy hustle and bustle of big cities. In the neighborhoods of Mcleodganj and Forsytheganj, you can still distinguish a certain colonial touch, a romantic addition to this beautiful environment. You will think you have traveled to the past when you visit St John's, in Wilderness. This small and charming church, with colorful stained glass windows, shelters the remains of the Viceroy of India, Lord Elgin. Despite its colonial past, Dharamshala has strong Tibetan influences with a large number of monasteries and temples. Start your visit through the busy center, Lower Dharamshala, where you will find the Kangra Art Museum, a window to the history of the region. Then climb up to Gangchen Kyishong, seat of the Tibetan government in exile. Higher up in Upper Dharamshala is McLeod Ganj, the residence of the Dalai Lama, founder of the shrine in 1960. About 2 km away is Dharamkot and Bhagsu, two good alternatives to stay and rest away from the city's horns. Oh, the Bhagsu cake is the closest thing to milk candy. You can easily get used to the peace and tranquility of this mountain town. Going for a walk in nature, hiking up the Triund hill, or just enjoying the view of the mountains and valleys, while savoring a good cup of tea, are some of the things you can do on your vacation. The perfect season to explore the nature of Dharamshala and its surroundings is in the summer months. Belgaum Fort is the main landmark of the historic city of Belgaum and an important place to keep as a world heritage site in Karnataka. At the entrance of the fort, there are two sanctuaries of Ganapati and Durga. There are two Jinalayas made in the later Chalukya style. Apart from the temples of Jain and Shiva, there are two mosques, namely Jamia Masjid and Safa Masjid, which are located within the fortress. These mosques are built in Mughal and Deccani styles and have adducted, domes and arches. Located on the edge of the Bidar plateau, Bidar Fort is an important historical monument in Karnataka. In the heart of Bidar is Chaubara, an ancient clock tower. Located in Bidar, Narasimha Jhira Cave Temple is one of the main tourist attractions of Karnataka. The temple is in a tunnel 300 meters below the range of the Manichoola hill. It is believed that the Sanctuary in the cave temple of Narasimha Jharni is a swayambu or self manifests sculpture. A perennial stream of water is said to flow continuously for hundreds of years in this place making it a significant places to visit in Karnataka. Gol Gumbaz of Bijapur is another important heritage and monument in Karnataka. The statue of Bahubali is among the must see in Karnataka. Gommateshwara statue is a 57-foot tall statue that stands on a hill in Shravanabelagola, in the Hassan district. Belur and Halebidu are two other interesting temple complexes in Karnataka, very different from Hampi and with hardly any infrastructure for tourism. They are separated from each other by 15 km and is about 150 km from Mysore. Halebidu was the capital of the Hoysalas in the 12th century and is a small temple but with very elaborate stone sculptures. The Hoysaleswara temple stands out for the thousands of figures carved in the stone, all of them different, representing mythology, dancers, birds and all kinds of animals. The second temple is called Kedareshwara, and the two are located in front of a large lake, from which the city takes its name. The main attraction of Belur is the Chennakeshava temple built by King Vishnuvardhana to celebrate the victories over the Chola dynasty in the great battle of Talakad. Built by the Hoysala rulers, Chennakeshavasvami Temple is a magnificent sanctuary dedicated to Vijayanarayana. The facade of the temple is full of stone carvings of elephants, horses, lions, sensual dances and epic episodes of Indian mythology like the Ramayana, Mahabharata and the Puranas. This Belur temple is located on the banks of the Yagachi River, also called Velapura. The temple is a ekakuta vimana design, combining elements of the Nagara style architecture of northern India and Dravida style of southern India. Halasuru Someshwara Temple is located on the outskirts of Halasuru also called Ulsoor in Bangalore. Another notable art in the sculptures are Mount Kailash of Ravana and Durga killing Mahishasura. Raja's Tomb also known as Gaddige is located in Coorg. Durga temple in Aihole is another religious places that adds charm to Karnataka. The Namdroling Nyingmapa monastery, which is also known as the Namdrol of Thegchog Shedrub Dargye Ling is said to be the largest teaching center of the Nyingma lineage of Tibetan Buddhism in the world. This monastery is located in Bylakuppe, Mysuru district. Talakadu is believed to have been under a curse that the once fertile town with more than 30 temples got submerged in sand. It is quite fascinating to see the entire town under beach sand. Of the 30 temples, 5 Shiva temples and a Keerthi Narayana temple has been excavated. ASI has done a wonderful job of excavation and reassembling this temple. It is situated near the cities of Rishikesh and Haridwar. Ananda in the Himalayas is one of the best spa hotels and amazing destinations which gives you unprecedented experience an amazing luxury. It is a wonderful place for recreation and relaxing which is added with adventure and fun games like nature trek, golf, billiards and wildlife safaris. Located about 260 kilometres from Delhi, Ananda is accessible by train, road and air and is considered one of the most luxurious experiences in India. India is a stunning land and home to some of the most beautiful hill stations ever. While most are aware of the hill stations in North India, not many are aware of the hill stations scattered across the rest of the country. The South, East and West regions of the country are home to equally gorgeous hill stations as well. For travelers who love nature, here is a list of some of the top hill stations near Maharashtra you can explore on your next trip to India on last-minute flights. If you forget your lonely planet guide, this interesting list of hill stations in Maharashtra will help you plan your itinerary depending upon which hill station you'd like to visit first on your trip to India. In the surroundings of Pune you can visit the Sinhagad, Torna, Purandar and Shivneri. Here are some of the best hill stations in Maharashtra. Harishchandragad Fort, which is at the end of this walk, is almost a mystery. It is believed that the main complex was built in the sixth century and was mentioned both in history and in mythology. Trekking enthusiasts climb all the way to this fort for the great charm of witnessing the story from up close. You have to drive to Bailpada from Kalyan for the walk. It's easy and you can get to the fort in about eight hours. Make Kokan Kada your stop at the top. The nearby Kedareshwar cave has an ancient shivalinga inside, which is usually half submerged in the water of a nearby stream. In addition, the ceiling of the cave rests on a single pillar, while the other three are completely broken. You can enjoy a panoramic view of the entire Konkan from the fort. You need a whole day for this walk. Bhandardara is about 70 km from Nashik, 185 km from Mumbai and about 185 km from Pune and a popular hill station with many attractions around it. Tourists are attracted to the Wilson Dam built on the Pravara River, the Umbrella and Randha waterfalls, a clean and large Arthur Lake, Kalsubai Peak, the highest mountain in the state of Maharashtra, an ancient temple of Shiva Amruteshwar and the historic Ratangad fort. This trekkers paradise is located north of the Ahmednagar district in Akole tehsil. Accessible through winding roads that lead through some of the most breathtaking natural scenery, Bhandardara is a popular place to visit in the state. What makes this one of the best hill stations in Maharashtra is the fact that it offers a diverse variety of attractions which include gorgeous waterfalls, lush green hills, stunning rivers, and ancient forts among plenty of other things. Hiking, trekking, and rock-climbing are some of the most popular things to do at Bhandardara. 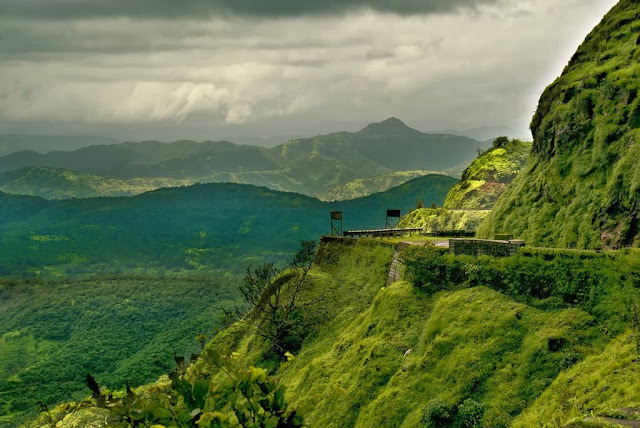 A relatively lesser-explored region in the Sahyadri Hills, Amboli is one of the most beautiful hill stations in Maharashtra popular for being an eco-hotspot. Elevated about 600 plus meters above sea level, this hill station is best visited during the monsoon season when waterfalls and misty mountains come alive. Invest in cheap business class flights and come explore stunning attractions in Amboli which include famous viewpoints, towering Amboli Ghat Waterfall and lush greenery. Free entirely of automobiles, Matheran is one of the most eco-friendly hill stations of Maharashtra. Located amidst the scenic hills of the Western Ghats, Matheran was developed and used as a summer resort by the British in early 1900s with the building of the Matheran Hill Railway. This is also one of the smallest hill station in Maharashtra and since being declared eco-sensitive, it is also the most pollution-free hill station in the state. Khandala is one of the top 10 hill stations in Maharashtra which never seem to lose their sheen irrespective of whatever new attractions come up. Famously mentioned in an Aamir Khan song from the movie Ghulam, Khandala is one of the most scenic hill stations near Mumbai. Located about 500 plus meters above sea level, this scenic hill town offers scores of trekking and hiking opportunities across picturesque trails. This is one of the best hill station in Maharashtra you can explore on your visit to Mumbai. If you have enough time, you should check out the famous Ganesh temples in Mumbai as well. Rajmachi Fort is a different getaway for hikers, nature lovers and travelers arriving in India. From there you can enjoy an incredible view of the Sahyadri mountains and the flocks of the Shirota dam. First, it is important to note that the best dates to escape are from mid June to October , because this region increases its beauty with clouds, waterfalls and natural landscapes of the most extreme green . Regarding its location, it should be noted that it is constituted from two highlands, Shrivardhan and Manaranjan. At its base are the village of Rajmachi and a forest reserve. In addition, beyond this area, flying over the Ulhas River you can find the Rajmachi Base Camp. The fort is located in Udhewadi, a local village whose families warmly welcome travelers and offer local cuisine. There are treks that can be hired in Pune to discover the Fort, the Caves and other places in the area. As an example you have the Rajmachi Night Trek. It mainly consists of a 18km night route through a thick and humid forest, where the views are spectacular late in the afternoon and at dawn. In addition, a special atmosphere is created because you go through it listening and seeing different types of forest animals, or fireflies twinkling around you. One of the most stunning hill stations in Maharashtra, Lonavala is also among the most popular hill stations near Mumbai. Not only is the region replete with rich natural beauty, it is also home to some of the most stunning historical architecture in the form of forts and palaces. Lonavala is also one of the closest hill stations around Maharashtra near Pune and hence serves as a popular weekend getaway for Puneites and Mumbaikars both. Lakes, forts, dams, museums and resorts galore, Lonavala is one of the most uniquely diverse hill stations in Maharashtra. The Karla And Bhaja Caves near mumbai and the Bedse Caves are natural caves carved into rock walls. They were enlarged and individually arranged from the top to the base, a technique that avoids the use of scaffolding. The natural caves also offer an ideal panorama that allows to see in the distance and to be visible. Like most sites carefully chosen by the Buddhist community, these caves have the advantage of being close to rivers, essential to the survival of the community. From an architectural point of view, these rock ensembles are an invaluable treasure. Entirely made of stone, the chaitya halls - destined to house the object of worship and the vihara, dwellings of the monks - faithfully copy the wooden architecture of a very distant time of which no constructed example has come down to us. Details as precise as the beams and rafters abound to the point of doubting the viewer. But the art of trompe-l'oeil reaches its peak on the facades of the caves, where a multitude of false wooden balconies inspired by palace architecture, animated by characters in full conciliabule give the impression of a great depth. Another fundamental element of Indian architecture is thegavaksa, kudu or Indian arc reproduced ad infinitum accentuates this false sensation of depth. Everything seems to be done to make as tangible as possible a construction frozen in stone. A stunning hill station near Maharashtra in the Sahyadri range, Panchgani was actually initially developed as a summer resort by the British during the mid-eighteenth century. One of the most beautiful hill resorts of Maharashtra, Panchgani quickly became a retirement place for British officials. Replete with stunning natural beauty and home to diverse, remarkable species of flora and fauna, Panchgani is one of the most popular weekend getaways for people of Mumbai and Pune alike. A few months ago a study was released that talked about millennials choose their vacation destination based on how Instagram worthy a destination is. So forget about price or practicality, it is all about how good the place looks. And if there was anywhere to fit that criteria, then it is going to be a place like Australia. 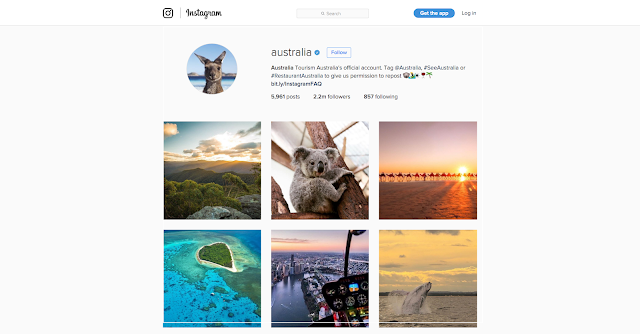 With some unique wildlife, world-famous landmarks, and stunning weather, it is easy to see why Australia is the most instagram worthy destination and would make a great choice. But where are the most photographed places in Australia? Here are some of the top offbeat Australian cities that will make your Instagram followers green with envy. While there are plenty of stunning beaches in Australia, Bondi Beach is one of the most famous. With great waves for surfing, white sands, and bright blue sea, it is easy to see why it would make a great spot for Instagram. Hyams Beach is the beach with the whitest sand in the world. The Guinness World Record says it has bestowed the palm of the best at the Australian beach. Hyams beach is located south-east of Australia at Shoalhaven, in Jervis Bay in New South Wales, about 180 km from Sydney. Besides having the whitest sand in the world, Hyams Beach is located in a central position with respect to all the offers of Jarvis Bay . Nearby activities include a Marine Park, walking trails on rocky ridges and native forests. The crystal waters of the beach offer activities of snorkeling, diving, sailing and surfing. Among the instagram worthy places in Sydney the iconic Sydney Opera House building set in the Sydney harbor makes for a great picture. People will instantly know where you are, and it can look amazing set alongside the backdrop of stunning blue sky. While not a place that is world-famous, it is a great spot to go if you are after some great images. The sea is stunning, and there is even a chance that you could spot some whales if you charter a boat out of the bay. Pretty epic, right? Sydney as a city is a really pretty one, with all of sights to see and striking buildings. But it really is a good looking city. Even more so if you decide to hop on a boat to see the city, and take some pictures. Naturally, being an island, even though it is a very large island, there are lots of places to get great images that feature water. And the South Bank in Brisbane isn't any different. With a view of the city, the sea, and a large ferris wheel, it is ticking all of the boxes for Instagram. In addition, the city has some of the most picturesque corners, such as the West End and its street market or the Story Bridge, which are essential instagram-worthy spots in Brisbane. Fraser Island, the largest sand island in the world, the Botanical Garden, the Brunswick and Paddington shopping streets, and the Brisbane City Hall and King George Square cultural centers are other instagram worthy places around Brisbane. It is not just about the beaches, right? The National Gallery in Victoria is a great spot for some unique and quirky images, as you take images, of images. There are some really funky and modern pieces of art in the gallery, and you could get creative with how you capture them. Has it even been a trip to Australia if there hasn't been any wildlife involved? Australia is full of amazing and pretty unique wildlife, so it makes sense to capture some of it for your photographs. The wildlife sanctuary in Currumbin, Queensland, is a great spot to find koalas and see other native wildlife in their natural habitat. Found in the northern territory of the country, this is a place like no other. Your images will pop with the striking colors of the red rock formation, the earth around it, and the blue sky setting the picture off in the most instagrammed place in Australia. Indonesia is the largest archipelago in the world. It is made up of more than 17,000 islands, of which the main ones are Sumatra, Java, Borneo, Sulawesi and Bali. The most visited for their exoticism are the Maluku Islands, Papua or Lombok. If you are planning a trip to Bali and Indonesia, you are likely to find that flight tickets are much cheaper during the monsterous monsoon in Indonesia. If you don't mind the inconvenience of getting wet every now and then, and would like to explore this stunning country on a budget, traveling to Indonesia before and after the monsoon can be a good idea. It is hard to determine when the rain arrives, due to the changes in the gulf streams strength and direction in the past few years. It is almost impossible to predict how heavy the rain will be. Still, if you choose to travel between January to April or October to November, you will have to be prepared for some travel disruption and inconvenience. Once you know the risks and have made all the precautions, you can plan your vacation accordingly. After having lived an unforgettable New Year's Eve in Kuta, we headed towards Ubud with a lot of desire to flee from the chaos of Kuta and breathe a lot more zen air. If you plan to visit the wonderful Bali island, you cannot leave it without having seen its great pearl. And if it had crossed your mind to commit such a crime, today we will show you the places to visit in Ubud that you cannot miss during your travel in Indonesia. Jalan Raya, Jalan Goutama, Jalan Dewi Sita streets are full of beautiful temples, charming corners, beautiful restaurants, craft shops, cafes with a lot of charm. Ubud market is located right in the center of the city. To the west of Ubud (you can do it walking) are the Campuhan rice fields. 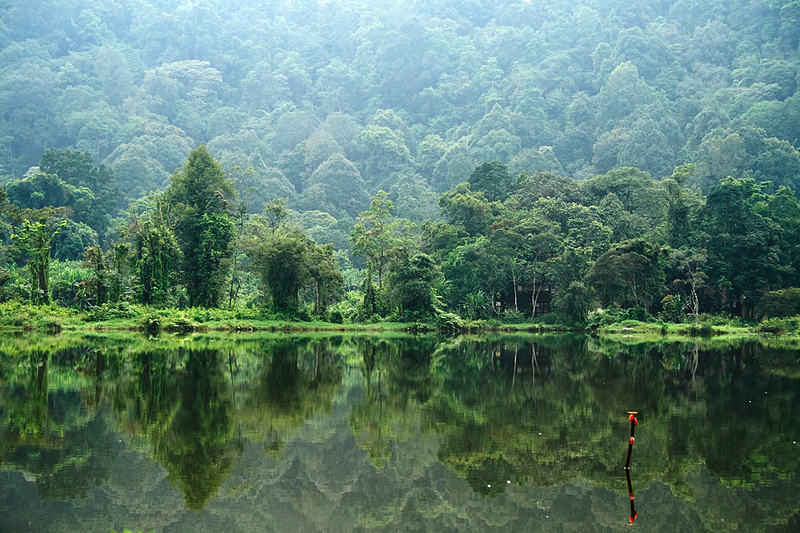 They are not as impressive as Tegalalang (7 km from Ubud), but they are also beautiful to see. If you want to enjoy a good Balinese massage, in Ubud you will find many places. To the north, 1 hour from Ubud by motorbike is the famous Pura Ulun Danu Temple, a temple that rises above the waters of Lake Bratan (the second largest lake in Bali). In fact almost in all the photographs in Bali travel guides you will see its image. Continuing north 1 more hour you will reach the Gitgit Waterfall. It was time to leave Bali and, with all the sorrow in the world because that island had stolen our hearts. It was time to go to Java to two of the most famous volcanoes in Indonesia, Ijen Volcano and Bromo Volcano. After a month touring Bali, Gili and Lombok it was time to say goodbye to the island of Gods and leave for Java. While we can say that Ubud is a little spot in the incredible Bali, we recommend you not to miss the opportunity to spend at least one day discovering this incredible town, the spiritual center of the island. We left Bali with the feeling of needing more time there. We would have liked to extend our stay in that magical island but we only had another month of visa in Indonesia and many things to do and see in Java. If the visa extension procedure in Bali were easier surely we would have been longer in Indonesia. The bureaucratic procedures are so heavy that we were too lazy to go through the same thing that we already had when asking for the first extension. But well, papers aside, Java expected us full of adventures and anecdotes to remember. It's time to make our expedition to the Kawah Ijen, the blue lava volcano. We left the Bali island by the extreme northwest of the island, by Gilimanuk to be more exact. From there ferries leave every hour towards Banyuwangi, already on the Java island. Our last stop in Bali was Sanur so from there we had to take a taxi to take us to Ubung which is where the buses to Gilimanuk leave from. When you arrive at the Ubung station you will be offered all kinds of transport to Gilimanuk, much more expensive than what it really costs and they will try to buy you the bus ticket along with the ferry ticket. Do not get involved! It took us about 3.5 hours to get to Gilimanuk and once there it was very easy to take the ferry to Java. The bus leaves you in the same port. The ferry trip (1 hour) was most entertaining. In that journey you start to see that you are already moving away from the tourism of Bali and you are entering a more authentic and deep Indonesia. People threw coins into the sea asking for wishes and many of them wanted to take pictures with us, it was very interesting. Unlike Bali, the Java island is mostly a Muslim island and as you approach the ferry you will appreciate it. You start to hear the chants of the mosques and suddenly you find yourself surrounded by veiled women. Everything pointed out that Java was going to be more adventurous than Bali, and it was! The ferry that comes from Gilimanuk, in Bali, leaves you in Banyuwangi, which is precisely the best place to stay if you want to visit the Kawah Ijen volcano. We stayed in the homestay that despite having very small rooms, has a pool and from the common area you have good views to watch the sunset. Through Airbnb you can also find very good offers. Our intention at first was not to go see the Ijen volcano because we had decided that we wanted to see only the Bromo volcano. Once in the hostel they proposed the tour and we really thought we could not miss the opportunity to go and see a blue lava volcano (one of the most peculiar volcanoes in the world) having it so close. In addition, the Bromo volcano at that time was in eruption so we were not sure if we were going to be able to visit it or not, so Ijen there we go! We hired the tour from the same hostel because besides that we found a reasonable price, other travelers had just arrived from doing it and recommended it to us. Seldom in your life will you have the opportunity to visit a volcano that emits blue flames in the dark. This is the reason why you should visit at night. If you arrive too late to the inner part of the crater and it has already been done during the day you will not see the blue color of the volcano's flame! So do not get too busy on the climb or you'll be late. We left the hostel at 12 noon and arrived around 2:30 at the base of the volcano. We start the walk! It's cold and a steep climb of something more than an hour's walk awaits us and then 40 more minutes of descent into the crater. The effort and fatigue are worth it! We got to the lowest part of the inside of the crater around 4:30 so it was still night and we could see the famous blue lava! We do not want to spoil your fantasies but do not imagine the red lava of the volcano that you have always seen on television but of blue color! First of all it will cost you a bit to see the lava because smoke does not stop coming out of the volcano and secondly you will not see the lava move but rather you will see some blue flames and the surrounding rocks as if they were red hot but in this case the bright blue. In spite of this, the Ijen volcano is something unique to see and of course we loved having lived it. Not only the power to see blue lava, but the whole experience of the walk in the middle of the night, the miners working with the sulfur, seeing the sunrise inside a volcano. With conventional cameras (like ours) it is impossible to photograph the blue lava, only those from National Geographic can. So if you do not have a super reflex camera do not waste your time taking pictures in which then you will not see anything and enjoy the moment watching such a spectacle of nature to retain it in your memory. Right next to where you will see the blue lava there is a turquoise lake of hot water! The gases that give off the volcano and the sulfur mine overwhelm a bit and sting the eyes. The sulfur extracted from the mine is basically used to make cosmetic products. In one side of the world people die so that in the other we have fine thin skin. Surely this happens with many other products that we use and we have no idea where they come from. This situation reminded us a lot of the experience that we lived in the Potosi mine, in Bolivia. About 8 or 9 in the morning they will leave you again in the hostel and you will be able to rest because you have spent the whole night awake. The Bunaken island, or Pulau Bunaken is located a few kilometers from Manado, the most important city in northern Sulawesi. Bunaken is located within the Bunaken Manado Tua National Marine Park. It hosts more than 300 types of coral and 3000 marine species. We took a plane from Jakarta and had the opportunity to fly over the Borneo island, an opportunity that showed us the reality of a country, especially when seeing with our own eyes how large extensions of one of the lungs of the planet are devoured to palm plant. From the plane it is possible to see perfect cuts in the landscape, endless lines where on one side you see jungle and on the other, desolation or dry land. After almost two hours of flight we arrived in Manado, where a boat from the hotel was waiting for us in the direction of the Bunaken island, where we had the first experience in feeling the sea water of the Celebes, since to access the ship we had to go a few meters wetting ourselves on a somewhat contaminated beach in Indonesia. The first image we see of Bunaken is a volcano, one of the views that we will have during this small trip and a point of reference for many dives in the area. After half an hour we arrived at the resort, one of the few hotels in the area where we rent some cabins facing the sea, without luxuries but with charm. Neither it have windows, and the shower is with sea water. Apart from that, something usual in these latitudes, it is an idyllic place, where the nights are lit by the thousands of noises inside. With the desire of a beginner, we dived, seeing seabeds full of life with dozens of clownfish, the fish known worldwide for the Nemo film and a great defender of its anemone. Now it is so famous that it has become one of the star fish and still it is easy to see even doing snorkeling, an activity that by the way does not detract at all from diving, since the waters are quite transparent. Snorkeling in Bunaken is almost like doing a dive in a pool full of wildlife. At the end of the day's dives we could seee the phenomenon of the tide in all its splendor. Just in front of our cabins the tide went down so much that left almost 100 meters of sea exposed, leaving the coral to the sun, starfish of all the colors, hundreds of ponds with fish of all kinds, like the puffer fish, a friend from the area that we had to rescue several times so that the sun would not dry the pond where it had been trapped. We could even do a dive at night. Diving at night is an experience that a diver should not leave out. We walked in search of some beach, some practically impossible since almost the whole island is surrounded by a coral reef. Still venturing has its prize, as we discovered Pantai Pangalisang, a fishing village where children play on the street and they look surprised when a Canon reflex shoots at everything that moves. Finally, one of the extra activities you can do in a place like this is see dolphins, but not one or two, hundreds, preamble to our departure to Makassar to see one of the tribes with more chilling customs of the world, the Tana Toraja. One of the main advantages of traveling to Indonesia during monsoon is that you get better prices on accommodation, tours, and plane tickets. This applies to long term apartment rentals, too. You can find plenty of great offers in Jakarta and find out how much money you can save by booking during the rainy months. Likewise, as there are fewer tourists, you will get the ticket prices for regional flights and boat trips reduced. Therefore, if you would like to see more and stretch your budget, you can do that during the winter. From eating out to luxury hotels, you will get a discount on everything. Even your haggling skills will go further at the market. It is important that you have a set base where you start off on an adventure. It has to be in a big city, such as in Jakarta. So if the roads are flooded and you can't get out of the city, you can still fend for yourself and see some of the sights on foot. You can rent a room in the center or an apartment, and stay dry on the days when it is simply impossible to get out and explore. You might need heating in your apartment, as the temperatures drop when the heavy rain comes and the sun is covered by clouds. If you would like to know what you can see and do during the monsoon in Indonesia, you will have to ask a local. International tour operators will try and sell you the most expensive tours and trips without considering the season. If you contact a local agency, however, you will not only get better prices and customer service, but can also customize your trip to the weather. Some of the smaller local companies will include the price of private transfer from one place to the next, too. So you can avoid getting wet while waiting for a taxi or the train to get to where you want to be. It is much easier to get a private transfer company to be ready to pick you up whenever you need them than trying to figure out how locals get around. You can get the transfer cheap from a travel agent or contact a company directly, if you have already designed your itinerary and know where you want to go and when. Even private taxi to and from the airport can be cheap, but if it is prearranged, it is even more affordable. Don't forget to haggle, as companies will be in a fierce competition with each other when there are not many tourists around. You should invest in waterproof kits and have a spare one in your backpack every time. Unfortunately, normal umbrellas will not do much during the monsoon alone. You will need waterproof overtrousers and jackets with a hood to protect your health. Pay attention to your shoes, as well. Most of the time you will have to face roads that have inches of water on the surface, and puddles that are simply too big to jump over. A waterproof high ankle boot or Wellington boots will be necessary. Have an extra pair of socks and a poncho handy, just in case you are facing a torrential downfall. 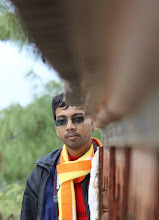 Remember that it is not very cold, only damp during the monsoon, so you only need light layers. 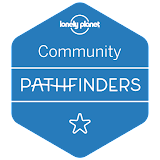 While most of the time it is best to explore the breathtaking islands of Indonesia on foot and camp under the stars, this is not recommended during the rainy season. The ground can become very muddy, and landslides are very common. Instead, you should ask your local travel agent in Bali or other islands to get your accommodation booked upon arrival. Get the transfer arranged, and avoid the risk of a chest infection when traveling to Indonesia during the wet season. Take a portable hair dryer or a small heater with you, so you can dry your clothes when you arrive at your accommodation. Before you set out on your journey to Indonesia, it is recommended that you start taking vitamin and mineral supplements to improve your immune system. Visit your clinic before you travel so you can get all the vaccinations to kick in before you arrive in Indonesia. You might even get an immune boost supplement or injection, so you can prevent the weather and related illnesses from ruining your vacation. If you are not fit and healthy, it might also be a good time to step up your exercise routine, so you can walk the trails and deal with the challenging terrains. All year round, the air in Indonesia is very humid, and this is true during the monsoon. If you suffer from headaches related to the weather, it is important that you take loads of painkillers and homeopathic supplements. Whatever works for your migraines at home will come handy, but you are likely to need a larger dose. While you might find similar products in Indonesia, you will have no guarantee that they will work for you. Check with your travel company and airline to make sure you are not taking too much medication, though, or you can get into trouble at the airport. The monsoon season might be a good time to explore some of the museums and temples of Indonesia. While you might not be able to go on a hiking trip in the forest, you can still visit some of the zoos and animal sanctuaries. If you would like to take the opportunity to get closer to nature, you can also become a volunteer at a national reserve, and have your accommodation and food provided. This is a good way of seeing more of the country without having to go on wet hikes and walks. In the night you can enjoy the traditional dance of Indonesia. You can visit the island of Komodo is a small island of Indonesia located in the smaller islands of the Sonda. Komodo National Park is famous for hosting the Komodo dragons, the largest living species of lizards in the world. The Komodo dragon of Indonesia is the largest reptile in the world and also one of the most effective killers of the animal kingdom. To take in the natural beauty of the islands and the rock formations, volcanoes, and green spaces, you can book yourself a boat trip around Indonesia. You will have your own dry cabin and only have to leave the boat when you feel like it. If you are generally not suffering from seasickness, this can be your idea way of exploring the different islands. Choose a boat trip that offers a covered deck, so you can sit outside staying dry and take in the scenery. The monsoon spread and strength will change when you move from one island to another. You have to ask locals and monitor the situation so you can avoid being stuck on an island or getting your trip plans canceled. Moreover, the monsoon changes from one year to the next. It is important that you listen to weather forecasts, as well as local people. Some of the lower regions of the islands are more likely to flood than others, but if you choose your accommodation on the hillside, you might face landslides and have to plan an escape route. One of the main health risks of traveling during the monsoon is getting mosquito bites. The humid air and the swollen waters will attract the animals and help them breed. If you are booking a hotel or private accommodation, you need to make sure that you have adequate repellents and mosquito nets on the windows. It is also a good idea to take some repellent with you every time you venture out, as you don't want to end up with a new strain of Malaria that your current vaccination doesn't provide protection against. Cover your arms, hands, and ankles, as well as your neck, as those are the areas mosquitoes are most likely to attack. It is possible to make the most out of your trip to Indonesia during the monsoon season. However, you need to arrive prepared and adjust your plans according to the predicted and past rainfall. If you don't mind getting wet and want to save money, you might start planning your perfect rainy season and avoid the crowds this winter.